Buying a 2012 Toyota Camry Hybrid, and saving $1000 off of MSRP. Sales rep is very knowledgeable on Toyotas and knows how to operate all the functions on these vehicles. Other dealers churn their reps and as a result the reps do not get to know all the particulars on the various models ,sale was smooth. Have bought at this dealer before and others of course but These people know what they are doing. The Toyota RAV4 has a long history of being very durable. We were also considering the Honda CRV, and the Subaru Forrester as they are both excellent small SUVs. What helped us with our final choice was the CRV was more expensive and the local dealer here has never moved on MSRP, it also was not as comfortable as the RAV4. The Forrester was excellent. I can only fault it for dual exhausts (I don't like paying to replace one, why would I buy a car with two? This may seem like a small thing but the gas filler cap is on the passenger side, I've always found this inconvenient). Toyota's 0% rate was very important also. The Wholesale Price Report was great for one reason, it showed me that right from the start Clark's Toyota was treating me fairly. 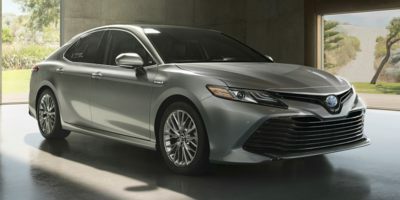 Buying a 2009 Toyota Camry, and saving $1000 off of MSRP.